By Gina Williams, Kiwi Ranger, Whangarei. 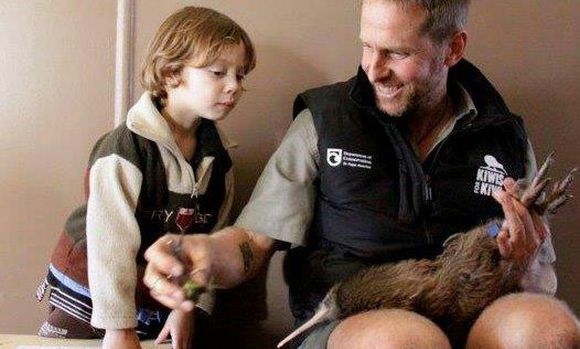 Kiwi are back in Kaipara after a 50 year absence, and are ready to make their mark on the Mataia Restoration Project. In 2005, Gill and Kevin Adshead set aside 400 hectares of their 1300 hectare farm in the south Kaipara Harbour area, north of Auckland, for ecological restoration purposes—the Mataia Restoration Project. 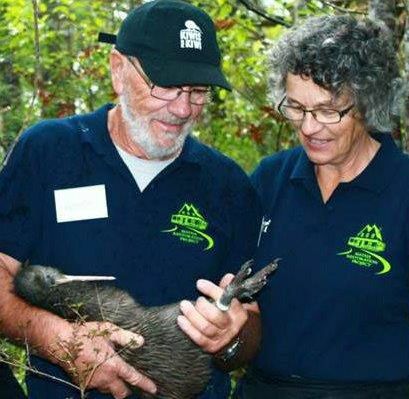 Planting, controlling pests, and fencing, were just some of the tasks volunteers helped the couple with, to get the land ready for the kiwi. 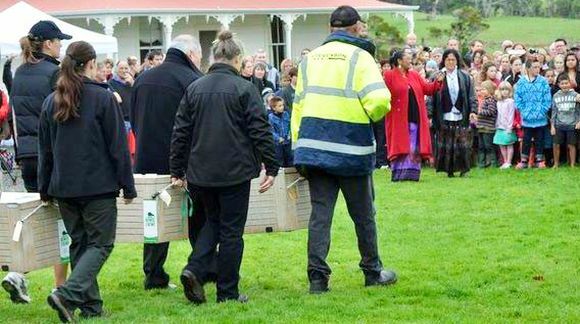 A vibrant Kaipara community, local iwi, schools, neighbours, Kiwis for Kiwi, the Department of Conservation, and local councils all showed up to help release the kiwi into their new home. Gill explains that the goodwill of so many people will make the next phase—to increase the pest and predator controlled area into neighbouring properties—much easier; and with roaming dogs the number one threat to the project, community support is key. Gill and Kevin say the reaction to the birds and the participation of schools and local iwi was wonderful. With radio transmitters attached to their legs the kiwi can be monitored. The restoration area is easy terrain to work with and half the birds signals can be detected from the deck of the farm house. Ultimately the couple plan to release a total of 40 birds at Mataia over the next few years. 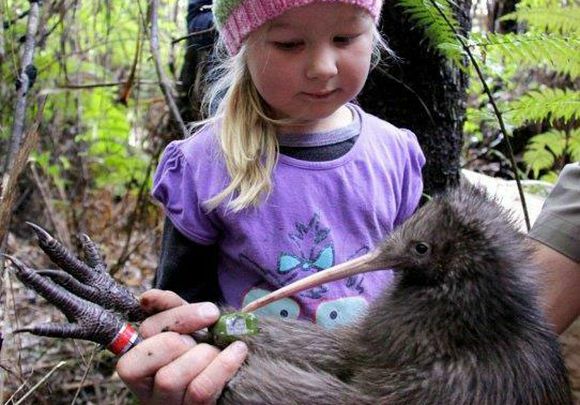 Visit the Nature Space website to read diary updates on the kiwi, access the latest newsletters and track the travels of the kiwi. These are the cutest birds ever!